Well now that Sky Sports is calming down a bit from its day of “twist and turns” (sure), the transfer deadline is upon us and teams can no longer make any more permanent signings. The football league sides can still sign free agents and make short term loan signings, but any permanent signings in these hard economical times are all complete until January. When it comes to the Championship, teams are often on a strict budget and new signings are very common, but who were the biggest winners and losers in this window? Craig Bellamy. That is without a doubt THE Championship signing of the summer and arguably one of the top signings in English football all together. Put on top of that the fact they’ve kept hold of Peter Wittingham, who may be signing a new contract soon, and Michael Chopra who disappointed some fans by announcing his intention to leave the club. Regardless of that, Cardiff City have the strongest attack in the Championship and they can only build on their good start to the season which has seen them gain 10 points from four games. Jason Koumas has also returned for his second spell on loan at the Bluebirds along with Manchester United youngster Danny Drinkwater, Hull City’s Seyi Olofinjana and Wolves striker Andy Keogh. Under new ownership, the future looks a little brighter for the Welsh outfit, after last season’s protests against Peter Ridsdale. Or team SPL as many people are calling them now, ‘Boro made the big signing of Kris Boyd this summer and excellent Steve Gibson has certainly took a gamble and shown his support to Gordon Strachan. Brad Jones is out and to be honest I think ‘Boro got a good deal from Liverpool as I always thought that he was a terrible goal keeper, they may not have brought in a replacement yet but I would expect a loan signing or free transfer to come in soon. Nicky Bailey is another honourable mention as well as Matt Kilgallon, who has come on loan from local rivals Sunderland. You could argue that they’ve not exactly taken the league by storm in the first four games, but as Sir Bobby Robson once said “there’s no point in looking at the table until November”. The defeat to Barnsley was a bit of a shock, but I’ve been to Barnsley before and they always make it hard for the opposition, despite many labelling them for relegation this season I think they may stay up. The fact for ‘Boro is that the team will still be growing relationships with each other and the side has fantastic depth that will benefit them greatly through the winter. I was quite shocked to hear that Nigel Pearson was admitted to hospital after complaining about a tight chest, but luckily the Hull manager is set to return. Pearson had hoped that a number of top earners would move on and although a number were sent out on loan and a few released/sold, there still remains a lot of players damaging an already tricky financial situation at Hull. Most notably is Jimmy Bullard, who wasn’t played in pre-season in order to ensure that he would remain fit in the prospect of a sale or loan move. Robert Koren and Jay Simpson are decent signings, but the club still has a lot of top earners that they were hopeful to get rid of and if Jay Simpson doesn’t start smashing in the goals then the club could really struggle to bounce back at the first time of asking. 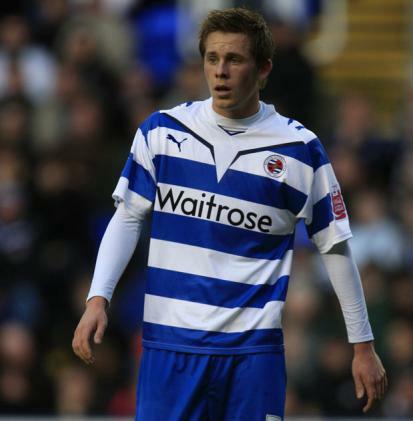 If you’re a Reading fan you’ll probably know why your club was one of the big losers this transfer window and that reason is Gylfi Sigurdsson. It appears that my article regarding the 5 players to watch this season has been a kiss of death for these guys, particularly Nicky Maynard who is out for 4 months (which all but ended my bet for him to finish top goal scorer this season!). Sigurdsson has made the move to Germany for a reported £4.25m, as he will wear the colours of Hoffenheim next season. I know it’s quite a bit of money for a Championship side, but this guy got 21 goals for Reading last season and he is a midfielder. At only 20 years old he still has a lot of progress to make and it would seem that Reading have lost the main cog in their system. On deadline day the ageing Ian Harte and Zurab Khizanishvilli (took me a while to spell that one) have came in, and although they’ll provide much needed support in the full back positions, Reading have lost their top player and it’s a shame that one of the Championship’s top players has left this season. The board at Derby should be ashamed. They’ve promised to fund the squad for every transfer window and rarely does there appear to be any sort of ambitious investment from them. The reason they are in the losers section is the fact that Derby County have one of the loyalist, if not THE loyalist, fan base in the country and if you were to put teams in the top league based on their fans then Derby would be up there every season. Luke Varney is off the wage bill, but the squad hasn’t exactly been strengthened to challenge in the league too much. Supporters of the Rams will be hopeful that loan signing Alberto Bueno comes good, but truth be told this is another transfer window of what could have been for Derby, the squad really does need quite a lot of fresh talent. As I write this Rob Hulse may also be on his way out to QPR and Derby fans will be disappointed to see him leave. I won’t be too disappointed that Hulse is leaving, he would have gone for nothing come June so it’s better to let him go and get something.